We are suppliers of Plasma Extractor to our clients. 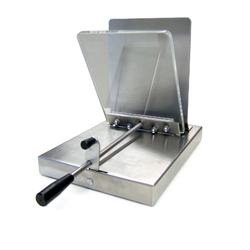 - Unit Designed to Extract Blood component from centrifuged bags. We offer Plasma Extractor And Expressor that are micro-controller based extractors and are designed for automatic separation of blood components from the blood bag. These are known for their high efficiency and long service life. PLASMA EXPRESSOR (Manual) Easy and simple mechanical device to separate plasma from centrifuged donor bag to a satellite bag. Labtop micro-controller based plasma extractor is designed for automatic separation of blood components from the blood bag. These have an attractive front panel bezel and caters to the requirements of hospitals, research clinics and pharmaceuticals industry. Our plasma expressor is designed for automatic separation of blood components from the blood bag. This plasma expressor is semiautomatic equipment to separate blood in to red cells and plasma. 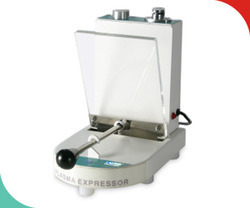 Plasma Extractor is designed to extract blood component from the centrifuged bags. The spring loaded front panel applies pressure on the collected bag causing the liquid to contain in transfer bag. Our range of Plasma Expressor is specially designed for automatic separation of Blood Components from the Plasma Expressor Blood bag. These have an attractive front panel bezel and caters to the requirements of hospitals, research clinics and Pharmaceuticals Industry. - Mechanical Accessory for Transferring of Plasma to the satellite bags.